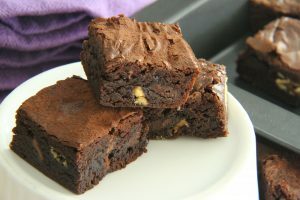 This low allergy recipe is something you can serve to your family or guests and know it will satisfy even the fussiest brownie lover. We know you will love and enjoy this chewy chocolate snack, sweatened with Organic Rice Syrup so it contains no refined sugars. 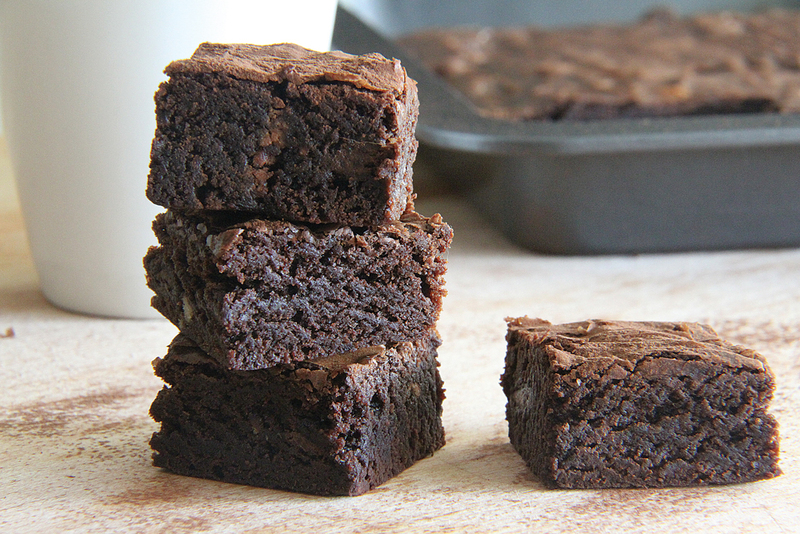 It is endulgent and delicious and did we mention it is Gluten Free & Dairy FREE! Grease and line a 27cm x 17cm slice or brownie tray and pre-heat oven to 160C. Melt chocolate in the microwave or over a double-boiler, remove from heat, add the olive oil and the rice malt syrup then allow to cool slightly. In a separate bowl mix together the almond meal, cacao and walnuts. Add the chocolate mixture and the eggs to the dry mixture and gently fold with a wooden spoon until just combined – for a vegan alternative add 3/4 cup of apple sauce or puree in place of the eggs. Pour mixture into brownie tray and place the Choculence chunks over the surface of the mixture. Push each piece down until covered. Bake for 20 minutes. Allow to cool in pan for 10 minutes before turning onto cooling rack.Slice and Serve either warm or cold. Our Choculence biscuits can be purchased from Coles Supermarkets in the health food aisle and larger Independent Supermarkets (IGA)or you can buy online here.